CLEVELAND — Joan Peterson has lived in her west side Cleveland neighborhood for 26 years and now reports a vacant home next-door has been jeopardizing the safety of school children since 2016. According to city building inspection records, the home was condemned in Jan. 2017 with 13 code violation issued to the owner in Aug. 2016, still the house is not on the city demolition list. 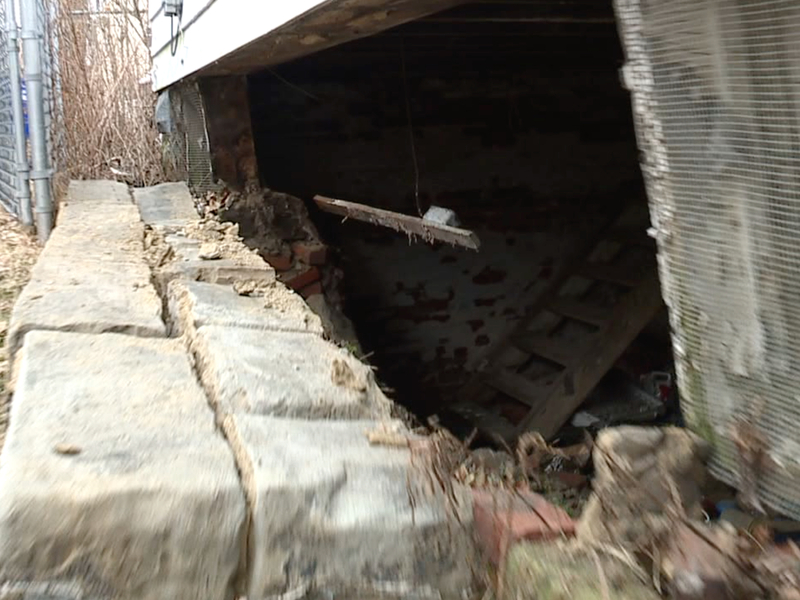 in the past few weeks Peterson reports one entire basement wall at the home collapsed, leaving a gaping hole to the debris filled basement floor eight feet below. Peterson said dozens of school children from Denison Elementary walk past the home every school day. "Well there's kids that play on the street and they're not supervised," Peterson said. "They go running around the back yard, this is an abandoned house." "I'm scared they're going to fall in there, especially smaller kids, if there's somebody not walking with them." Peterson said she called multiple city agencies concerning the home, but was given little response. "I called everybody, I've been calling for three or four years now," Peterson said. "It doesn't seem like they think it's important." According to city records, the house is owned Pauline Urban,and is more than $19,000 behind in property taxes. News 5 called Urban about her property, but our calls were not returned. Cleveland Housing Court Judge Ron O'Leary vowed to look into the case and told News 5 if housing code violations are not submitted to the prosecutors office, the owner can't be held accountable in court. Meanwhile, residents like Joan Peterson are left to live with a hazard in their neighborhood. "Because I've been waiting for it to be condemned, and then they said they were doing it all over again," Peterson said. "So then I thought it was going to be another two or three years."